In 1884, a creature that appeared to be a cross between a plesiosaur and a sea serpent was sighted in the lake at the small town of Lake Elsinore. Since then at least once a decade, the creature has apparently been seen. Lake Elsinore was named after the Danish city, Elsinore, in Shakespeare's Hamlet. Besides a lake monster, Lake Elsinore is rumored to also have ghosts, UFO's, satanists, vampire cults, and even a group of ten citizens who claim to all have known each other in past lives and have all been mass reincarnated. But the lake monster remains the most talked about super natural aspect of the area. The creature is colorfully referred to as Elsie, a play on Nessie, and occasionally "Hamlet" after the name of the lake. The lake monster has been taught to local elementary school children, appeared on numerous news reports, been a part of its own local cookbook, and even graced a page in the local phone book. Native Americans have claimed to witnessed Elsie lurking on the waters. Although some people believe that a rupture in the suplphur springs on the north shore of the lake produced a big enough black bulge of mud in the water that it was mistaken for a lake monster. 1932 turned up what may have been a hoax sighting as several swimmers were frightened off by what had been a baby sea lion placed in the lake on a prank. In 1934, a C. B. Greenstreet along with his wife and children reported seeing it. He described it as 100 feet long with a thirty foot tail. He also stated that waves as high as light posts washed on the shore in its wake. 1967 saw a family boating on the lake capturing a view of the monster. It supposedly rolled by them making dark high humps in the water. In 1970 the creature was sighted twice by a Bonnie Play. It was described as being twelve feet long and three feet wide with a series of humps and a dinosaur head. After 1970, three state park officials supposedly saw it surface about fifty feet from their craft. Finally, numerous reports surfaced in 1992. Despite the many documented sightings of Elsie, one big factor rules against its existence. In 1954 the lake went completely dry, and not surprisingly there weren't any beached sea serpents lying on the bottom. In the 1960's it was refilled and since then there has been an ongoing effort to maintain the water level within it. Those who argue Elsie's existence, claim the creature wandered into a nearby cave in the hills and resided there until the lake was refilled. So apparently Elsie can survive on both land and water. Through the nineties and recent years a fiberglass replica of Elsie has even existed. It was built at 13 feet tall and 102 feet long. Last I heard in 2002 the fiberglass float was still land locked, but its supportes were trying to get it installed on the lake somewhere or failing that turned into a parade float. Lastly although I've heard speculation of an Elsie Museum at 199 Graham Avenue in Lake Elsinore, one does not exist, at least not at that address. In fact there wasn't even a building at 199. However, I believe that nearby at 201 is an old building that use to be or is part of what was called the Chimes Building. Once the Crescent Bath House a young boy is suppose to have drowned on the site in 1939 and now still wanders the building's halls. Additionally rumor states a murder happened at the location. Mysterious noises, echoing footsteps, and strange cries have been heard in the building. Cold spots have been felt and supposedly a ghost has been seen lurking in the basement. So is there a sea serpent lurking within the depths of Lake Elsinore? Well speculation is out, but there does appear to have been at one time a fiberglass replica, and currently there does not appear to be any museum dedicated to the missing Lake Monster. My daughters and lived in Lake Elsinore for 7 years. We had several explainable occurrences when we lived in a home in Tuscany Hills. The house was definitely creepy. The kids would often see something passing by the kitchen door and late at night I would hear something in the attic rolling and creaking as if in a rocking chair. My daughter often saw black apparitions coming from her closet and disappearing into her dresser. Also one of the rooms you would feel like it would draw you into the room and the other room next to it would push you out. We also heard the train on regular basis. At least once a week sales people would come by and knock on the door making excuses to come inside. So much so that we finally put a note on the door stating "no solicitors and no you can't use our bathroom" lol so creepy!! Have lived in elsinore area since 78 and when first moved here, lived on lake house before the flood. Elsie is, or rather are, spawning carp. First time I have heard of large caves near here... more info please. It has been many years since my sighting of the Elsinore monster, at the time I was only 14 years old. My family has fished in that lake for years. One year the winter was a wet one ,heavy flooding had washed into the lake and it raised a lot. When spring hit we all went fishing at the lake. I didn't feel like fishing right off I wanted to explore around a bit. We went the a marina at the far west end of the lake and there was a very large area of reeds surrounding it. I was standing at the waters edge looking into the cove that was surrounded by a vast amount of these reeds. As I stood at the waters edge I could see a very large swirl on top of the water. Suddenly it came my way ,thinking it was one of the big fish I was startled to see it was what looked like a very large lizard coming at me. Oh I was scared but yet amazed at what I seen. It swam back a forth in front of me no more than 20 feet from me there was no humps on the back humps to the back0 feet from me. It had very huge round black eyes. Its skin was a very dark green with black spots on it. I couldn't see any teeth. Made no sound at all. Suddently it dove ,when it came up it had a very large carp in its mouth, that's how I noticed the teeth more like what a lizard would have. When it swallowed the carp it dove again and it never came back. I never told anyone about it because they wouldn't belive me anyway. I did tell a few people years later. I've lived in Lake Elsinore for about 15 years now. We moved to a new home on Lantern Hill Lane in a culdesac at the top of Lincoln directly next to where Rice Canyon Elementary now is with a giant field behind the culdesac. My home wasn't technically haunted but we definitely had activity. While you were downstairs you could constantly hear footsteps upstairs as if some one was walking from the hallway into the master. I would frequently hear them when I was home alone but they never frightened me. Which is surprising because I was a overly paranoid little girl between 8-14 when I was living there. Besides being able to see orbs float around with the naked eye, while sitting in the living room you would see a man leaning in the doorway of the kitchen out of the corner of your eye. I never mentioned this to anyone since I always just figured it my eyes playing tricks on me. But years after I moved out I mentioned it to my best friend. Upon hearing the story she went ghost white and simply replied "you saw him too?". Turns out she never mentioned it for the same reasons. Definitely gave me some chills. I also once saw maybe a time warp there? One day I was upstairs doing laundry in the hallway when my little brother walked by me and into my mothers room. Thing is.. I had just walked my little brother to his best friends house down the street about twenty minutes prior to that. When my parents divorced my dad bought a home a few streets down by Terra Cotta Middle on Lake Breeze (I believe that was it) this home was not so welcoming. For a period of about 3 months I was unable to sleep soundly because I felt and thought I could almost see a dark figure standing over me every night. Every night I decided to ignore it. My room was pretty empty due to the divorce, only consisting of my bed, a tall lamp to the left of it and my ottoman on the other side of the room. I fell asleep uncomfortably again on the right side of my bed and sometime in the middle of the night in my half asleep grog I heard my lamp fall to the floor and shatter. I'm still confused by this since there's no way it could have been knocked over. But after that I never felt that thing standing over my bed. The worst part about that home was the hallway. We had recently put new shaggish type carpet in the home so you could hear every step down the hallway. In the night you would hear constant pacing. One late night I was sitting in the computer room. My brother came in and I made hims bed on the floor because he had a nightmare. Once he had fallen back asleep I went back to the computer. Then I heard the footsteps going up and down the hallway again and suddenly I heard a woman's voice from the living room, but I couldn't quite make out what she was saying. All I knew is it sounded kinda like my cousin. For some reason I got an overwhelming feeling of threat and an urge to lay over my brother and pray. I don't pray or am very religious. The footsteps and the voice went on for some twenty minutes and the whole time I was in extreme fear, muttering the Lord's Prayer over and over again because I had no idea what else to do. Suddenly I hear my dad wake up and with an annoyed sound in his voice, call me to his room. I gathered up the courage and made the trip. When I got to his room he asked me what I was still doing up, I told him I was just on the computer. And then with a very confused sound in his voice he asked me who was here? And is it Katie? Katie is my cousin. In that moment I knew I wasn't crazy because my dad, the last person in the world to ever give into ghost stories, was awoken by the same voice I was hearing. Now stuff like this has happened since I was very young so I don't know if it's just me. I did hear an old rumor that that area use to be old Indian ceremonial/ burial ground but I don't know about this. I grew up in Lake Elsinore and recently returned to the city. My parents live off Grand and near Grand and Corydon there is an abandoned pair of buildings. They are white and some of the walls and roof are gone. When I asked the historical society about this building, someone said it was an infirmiry for the terminally ill. Its a creepy place!! Does anyone know anything about this? I've been to many places around Southern California, and I've been to Chimes multiple times. The first time, I was too distracted by my family to pay attention to ghosts, but I had that eerie feeling and felt the legendary cool breeze of Chimes. The second time, I went with my friends. The man that works there told us to watch out for the little girl and boy, we didn't think too much of it. But, I didn't say how I believe the rumors. In the back room with all the old toys, I looked in particular at an old doll. My two friends looked at it with me. We put it back on the table where it was and continued scanning the room. All of the sudden, we felt the breeze come on stronger, so we got creeped out and decided to leave. When we were walking out, the baby doll was laying on the floor outside the door. My friend freaked out and starting running away. My other friend kicked it inside the room. I didn't see why she would do that, because it was apparent to me that doll belongs to the ghost girl. We chased our other friend outside and began to comfort her, because she was weeping. She was really freaked out. The man came out and told us that it was the ghost's doll, and that she was protective of it, because it was always in different places, or wrapped up nicely in blankets. The last time I went there, a week ago, I went with one of my two friends that went the last time. The doll was in the exact place the girl put it last time. Creepy. My wife and I have lived in lake elsinore for five years. 2 years into living here we moved toward the water treatment facility. Ever since then, we have heard the train allot. Usually very late at night. Usually around 11pm to midnight. One night when I was leaving a martial arts class over near the target area. I saw a light and the train whistle. It was dark and I was still new to the area at the time so I never thought about it because it was on the other side of a fence. Now I realize that The train tracks have been gone for a long time and this is like an echo through time. My family moved to elsinore when I was 6, Im 40 now, Ive grown up here gone to school here, all my friends are here and I have been to the chimed and the resort before it burned, been to Aimees castle, the hotel on main st. I have been everywhere in this little boring town and I have never seen or felt or even heard of any of the things that have been posted. I have no fear going anywhere in this town except for one. Not that Im saying its haunted but I will never again go to the swing at night. Therr is just a bad feeling there, but it was the only place to hang where cops couldnt get to you. Even during the day that place creeps me out. Oh almost forgot, the old academy was briefly a christian high school in 1989-1992, my best friend went there, and besides being run down, we never felt anything paranormal there. Also I read a post about Aimee being a bad person, thats a lie. She was a church leader, founded the foursquare church now called foursquare international, she preached on the radio in the 1920's. There is a tunnel that leads to lake, actually there are 2.
well about a week ago Me and some friends were fishing late at night by lakeshore drive and we saw this thin looking creature that at first looked like a human being and then started to look like a lizzard the size of a person. It was walking in the sand And then walked into the water !!! it was not swiming or nothing he was walking on water!! then he started to come towards us and we got a flashlight and pointed at it!! And as we also started to approach it he vanished out of no where! Being Six grown adults we did not get scared or anything but it was a really weird experience!! I usually never fish here but I'm going to come more often!! Anyone remember the old country club that used to be below Amy's Castle? It was burnt down some years ago by vandals >=( It was haunted! i lived in lake elsinore most of my life was born at inland valley and even gave birth to one of my four children there... i have never seen elsie but yes there was a replica of her on the shore i used to wave to it when my father took us boating and say hi elsire haha! my name is jacob ryan phiilps i lived in elsinore my whole life my grandparents lived there for about 40 years they live on oleander drive of of grand i always been curious about all of the ufos and elsie and the ghost this morning i was walking down to the lake from my grandparents house to throw my boomarang and i saw a about 2 9 feet long figuers surfacing the water i dont know if it was elsie bor a school of meno my grandparents house was built in the 50s i dont think its haunted but it scares me a bit. my best friend russel fletcher liver on cedar the next street from my grandparents house he told me he saw a little boy in his room. i believe him and also believethere are ufos i seen three light above the lake 1 time. my grandma lives 3 strets from the military school ever since i was a little boy it creeped me out.have a nice day. I lived in canyon lake my entire life. I'm 19 now and I've recently been into the hotel down on main st. It was easy to get in. We hopped over the wall and got in through the kitchens back door. There is a dog that lives there. It's really nice!!!! The hotel is in good condition for how old it is. It didn't seem haunted but it was very creepy inside!! We went up to the second level and it was hot in the hotel ( its summer ) we were to scared to go up higher so we went back down and they always say the bottom level is cold we went back down and it was freezing!!! So we got spooked and left. There are a lot of interesting things still left in there. Pictures magazines news papers with old dates from the 50's! It's pretty cool. The boys academy is very old and scary to walk in because the floor has holes in it but we couldn't walk around much couldn't see and didn't wanna get hurt so we left but the hotel it really something to check out!! Well I just moved here and I have this bad habit of "feeling" stuff..my first time down Grand Ave I was completely mesmerized by the military school. There were so many emotions coming from it. So I began to ask around town at these little shops. Some would say it was and some said it wasn't. So I'm happy to know I wasn't just tripping. Also my first night here I heard a train*mind you I didn't know there wasn't any train tracks anywhere* so that's one more thing...also I live near grand ave and ontario and my downstairs is haunted..by something that is just plain evil. Does anyone know about anything near here? Well i was born and raised here in lake Elsinore. I'm only 15, but I've heard a lot of stories of amy's castle, the chimes, the house on the hill on the exit of main st, and the hotel on main st. I actually lived my life in apartments right next to the hotel up that street. But never have I seen a man in a jump suit on the roof at 1 am on Saturday's , according to the rumor. The only strange things that has happened was late at night yuh would hear noises . I was always scared of the closets for some reason. Knowing the apartments are really old, I knew that some explanations can be caused by old age. My neighbors would tell me they would hear footsteps running by at night with no one in sight. About the chimes, I have always been so close but never have been inside the building and I've always wanted and still do , go inside there and to experience something myself. As far as "Elsie , I went to a museum on main st and they told me that it is just a rumor. So I don't believe in it at all. The tunnels, I have heard some stories of it , and have had some friends go in there but nothing scary in there. Idk about the rest of you but Elsinore Is a pretty old and scary small town. I'm new to Lake Elsinore and I've heard the train and it's whistle blowing. More than once, in the early morning, just as the other person has posted. Until I read this website, I hadn't paid any attention to the fact that there is NO train that passes through this town. If I hadn't heard it myself, I wouldn't believe it. This is the weirdest thing that have ever happen to me. I had just enter the Ortega highway from Lake Elsinore. Just as I am coming up the mountain, I just so happen to look straight ahead and i see this huge castle or watch tower. In which was odd to me because there is no castle, watch tower or any huge tall building off the lake. I could see every detail clear of this huge image before me. It was white with perfect square bricks with one tiny window at the top. I could see the bright sun peeking from the side of this castle or watch tower. I only saw this (?) I don't know what to call it? one time only. i thinking may be the person in the car behind me may have seen it to. Has any one else seen anything like this? I lived in Lake Elisore for almost 10 years & the wierdest thing I saw was one morning about 6:45am my boyfriend I were fishing. There were no boats on the water & it was a crsip clear morning. All of a sudden there was a huge rolling wave that went from the north end of the lake all the way to south end. We checked the news for info of an earthquake. There wasn't one. No quake, no boat, clear skies. What was that? But remember one thing, when it comes to spirits, they are everywhere, in every city. If you walk with the Lord, you have no woories ! Okay, as a current residence in this town as I live here I have been in most of these places except The Chimes and I have traveled and walked all over the entire Elsinore area head to foot and never experienced anything from out of this world. The only thing that is gut grabbing is the fact that for a time the whole town if not most of it was a dump site/landfill and being that who knows what was used to being dumped here and what kind of chemicals were being exposed that still lingers around and if inhaled it would trigger hallucinations and odd feelings of fear or euphoria as a result of why people say what they say and most secondly all the people around here is just trying to get attention and a story. Granted, when I was younger and still young being that I'm 28 years of age today I used to get so drunk at a friend's house and had a friend who'd smoke stuff and I'd trip out that I seen stuff happen but that's when I was drunk. Hell, the place where I live what was my grandmothers house and still live my mother, sister and grandmother claim they have seen and heard strange things happen before their very eyes like my mom and sister claim they saw a silhouette of a hooded man linger about in the hallway and bedroom on the right side of the hallway facing the entrance and the doors open and close on their own. My sister been in my grandmother's room and said she saw a silhouette figure of a hooded man and it disappeared. I been in that room several times myself and it was always really cold but that's because the window is always open and as for doors opening and closing by themselves, most of the windows are opened like an inch letting in wind to tamper with the doors although I feel no wind at all. Even when I sit alone in the house half drunk I get no eerie feelings or any strange incident happen in front of me. Because as a staunch and militant atheist I really have no belief of anything spiritual whatsoever but I love to hear these cockamamie fish stories because I find it amusing. So remember as for The Chimes if there really were something going on down there it's probably the epicenter of toxicity from hexavalent or chemicals that seeped into the hot springs that causes hallucinations and the people who are there probably has Universal Studio-Disneyland SFX devices hidden and paid pranksters all around the perimeter. Ghosts are not real, we are and will do anything to get attention. I have lived in Lake Elsinore for about 1 1/2 years. I live west of Grand near Machado. I have not been to any of the locations mentioned but I have had many experiences at my home and so have many of my neighbors. I have seen a small shadow standing ion the corner of my dining room, twice, I have heard tapping on my windows, scratching on the walls, sounds of doors closing when I'm at home alone. I have even seen a white, cloudy looking figure float pass my bedroom window. Most recently, I heard a raspy man voice in my bedroom. I wake up every morning between 315am and 330am, not sure of the significance with the time, but I find it strange that I wake up at the same time every morning so no apparent reason. My neighbor says she has seen the same small shadow figure outside of my garage and she says she hers sounds in my garage wee hours of the morning on a regular basis. Not sure what's going on here in Lake Elsinore but I have spoken to a few people that live west of Grand and they all have had similar experiences.If anyone else in the area has had experiences near my house, I would love to hear the stories. Oh, has anyone been up to that old western movie set off of Grand and Machado? I heard you can hear Indian drums up there in the mountains. Growing up in Lake Elsinore i have been inside of the old academy as well as the main street hotel. both are in pretty good shape.in the academy's kitchen there are alot of news paper clippings posted on one wall going back as far as the late 1880's. the hotel looks like it was ran out of because the lobby has everything still set up with old skeleton keys and receipt books. I have lived in Lake Elsinore and the area for about 20 years now. I started spirit hunting and such about a year ago. I have seen Elsie but of course it was a replica in someone's backyard which is also part of the shore. It's the fiberglass one that is mentioned in the post. As far as the Chimes, they are currently open on the first story as an antique shop but have the entire first floor open for tourists. There were 2 rooms that I felt a presence. Mainly in the kitchen. I have also driven past Amy's Castle but I'm not sure if it would be haunted. I heard there is a secret tunnel that leads from there to the lake though. And the academy is highly known to be the most haunted in Elsinore. I have never been in there, but I have heard a lot of stories about local's experiences. Twice have I heard about the disappearing piano. So I'm pretty sure it would be spirited. everytime i go to sleep around like 12:00 at midnight i hear the train going and i get very scared and once i looked in the window i hear the train but i didnt see anything but im pretty sure i heard a train so did my brother gus he and me have heard it at night! three friends and i lived in amy's castle in the late 60s. it was a very uncared for building at that time. rent was cheap ($400/mo) and we enjoyed living there. it was very quiet in elsinore at that time, even tho the academy was still open. Oh my god my wife and I have been awakened twice this month! We both heard the distinct sound of a train whistle just like it was on its way through town. I live in the avenues and know of the chamber of comerce. I also know that the site on the corner of Misson trail and Diamond drive was a train station. I get the heebeejeebees every time this happens.Also there are old forgotten rails all over the city. THANK YOU for your post Pam of Wildomar/Lake Elsinore, Ca!It was the only other witness story i found. I lived in Elsinore for a long time. My brother and our friends and I used to go into the Chimes and visit Amy's Castle late at night alot as well as the old dance hall that I heard burned down since. I have so many stories of unexplained things that have happened while I was there. It seems as though whenever we would spend nights in the oldest part of town...where the old gas lamps are near Amy's castle...strange things would happen. I want to go back and explore these places again someday...Lake Elsinore is definately a strange, eerie place. I saw the guy in a jumpsuit at the Hotel at 1am when driving around with some friends. I want to get into the Chimes for exploration, does anyone know how to contact the owners about opening it for a while? I heard some guy got a vase thrown at his head in the Chimes. As for Elsie, I've been in the Lake. I regret it because the water is disgusting, but I thought there was an odd undercurrent in the water that would be similar to either a small group of dolphin or a small whale swimming under a person. I used to live in Lake Elsinore, last night me and my friend actually walked passed the old military academy was I scared! so we went and sat across the street, I am dating a guy who claims he has been in their he says he would never go in their again, Also in Lake Elsinore the old Abandoned Hotel on Main St. been known to see a old Janitor at the top of the building looking down on the street around 1:00 a.m.. I know the city is very old so who knows! I was also walking near Central and the business buildings in the reflection of the windows I witnessed my friends reflection and mine walking forward but I also witnessed a reflection walking towards us the lady with a handbag NOW THAT IS CREEPY! as for Lake Elsie I was taught about that when I was a kid. Would love to witness her/him if she is real. Never have so don't know. So me and my friends were going to go up to Amy's palace, and we went the wrong way I'm pretty sure of and it took us to Skyline... My friend didn't want to take her car up there so we parked and walked up the hill... As we went up further we heard footsteps and saw a figure of a man, that had a jumpsuit on and it looke like he was walking towards us... And as we stood there my friend said we should leave and come back a different time. So we walked back down and the whole I was walking backwards so I could see it still and it looked like he was waving at us... We walked back up a little bit and we could see he was bekoning. My friend asked him his name and why he wanted us to go up there and no answer. Then we walked back to the car and noticed he couldn't go pass the tower. When we were driving home my friend got some what of a name.. His name was Chris. My friends that got the name were feeling this weird feeling that he knew we were gonna come back and explore futher and he's going to have more with him. If anyone knows anything about this it help greatly... But whether we get more stories or anything we are going back. So some information would help greatly... Thank you. Friday night I went to The Chimes and took two pictures. This may sound crazy but I actually communicated with whom I believe was the little boy. There was no wind, yet one chime had gone off twice. I asked the boy if he could make the chimes go off again to let me know he was there, just a few moments later the chimes rang again, twice. This gave me the chills and I ran to my friend to tell him. While I tried to prove it to my friend, it didn't work. My friend walked around to the side of the building and I asked the boy again to please ring the chimes. I watched as the middle of the chime was slowly moving back, as though someone was pulling it from the balcony. I slowly moved as if the boy was unsure to ring it again. I apologized to him for running away and that's when the chime lightly began to make the noise. However, my friend had turned the corner and began walking back toward me so it stopped again. The Old House on the Hill as you exit Main Street in Lake Elsinore has belonged to my Father and his partner since the 70's. I'm 34 now and when I was little the upper part was used as a YMCA where the Pool is. I have been in and out of the old House and never once have I felt anything more then fear. I do remember a small Crawl space hidden in the kitchen and we were all too afraid to go in it as kids. I went back as an adult and it has been closed up. Over the years the House was rented out to several church groups and help groups. At this time it is being sold to a developer. It makes me mad to see the front all full of spray paint from our ghetto kids. The old school omar the bottom of the ortega hwy was a Christian school I went to from 1980-1983 and it isn't haunted . Just this year we went in through the Back by the pool and walked all through the inside with only cell phones for lights . Freaky but not Haunted . I doknow where the cave is on the side of the Ortega hwy that they say elsie went in when the lake drained in the 1960's . One time I went in with my brother in law aprox 50 -75 ft and had to get out due to FEAR of the unknown . Years later I took my son and we only looked in , could not even take a step . But my friends and I are going back soon with our dog to see how far it goes . It seems to go for ever, I will let you know !!!! I get very intrigued by all these old buildings. Especially the abandoned hotel on Main. I would be very interested in exploring that. I am a photographer, so I always love documenting by adventures. Does anybody know the history of the house on the hill as you exit Main Street? When coming from the south the hill with the house is on your right. I have recently explored it and I am very curious if anyone knows its history. 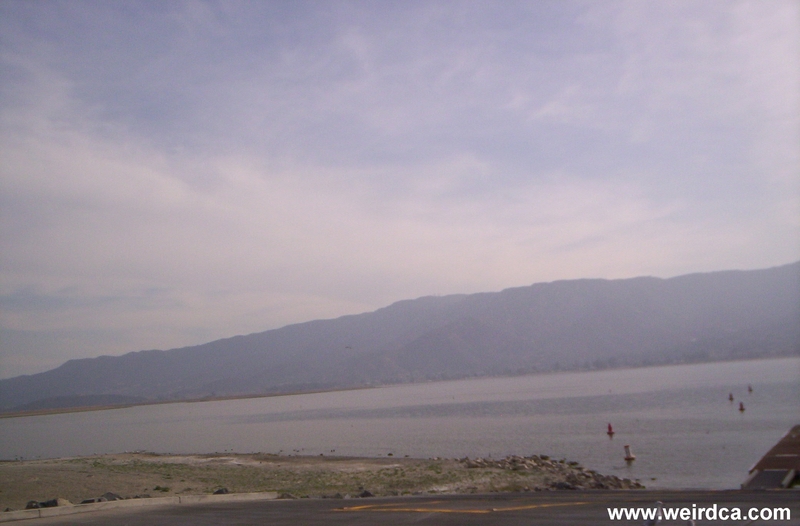 Lake Elsinore is an old city with lots of historical places to enjoy. Amy's Castle is not open to the public, it was recently purchased however by a church of some sort. Sometime during the fall or winter Elsinore does do a tour through some of the older known haunts. The Chimes is currently closed but definitely haunted as I've been in there several times. The Old Military School is off limits due to how old it is and it's structural damage, but one can easily see it from Grand Ave. Even though the places mentioned are closed or don't have access, that doesn't limit the amount haunts that are still available although maybe not as famous. Main Street is a must see, go into the shops that have been there since the beginning and tell me you don't feel something! Also, the Chamber of Commerce building which is open to the public is the old train station from way back in the day... people around here say they can hear a train whistle early in the dawn hours. But the train station and almost all of the tracks are long gone...I have heard the train whistle myself. Anyone else hear it?? Lovely ghost town! Hi, I have lived in Lake Elsinore for 6 years now, and I have yet to see anything weird...I would love to see it though..I am very into spirts and ghost and would love to see anything like that..I have never heared of amys castle...where is it? I have heard of most of the things here. I really want to go and explore The Chimes. I also want to explore Amys Castle and the old abandoned hotel off of Main St. What about the old military school off of Grand? I used to live and work in Lake Elsinore. I have witnessed many strange things there. The Chimes is definately haunted. You can go in there on a 115 degree day and hit weird cold spots in the building that leave you freezing for hours afterwards. The Satanist cults are all over the outlaying hill areas and they wander around at night sometimes appearing in the streets or at your door without making a sound. I grew up in lake elsinore. I heard stories my whole life of amy mcpherson and her castle. stories about the tunnels that lead under the lake. I got the opportunity to enter amys castle and walk through one of her hidden passageways wich leads from the gym to the guest house....way cool! I visited the chimes and was brought about by the most eerie feeling ever. I grew up in a old home in the avenues, and I as well as neighbors have all had the same experience with a ghost we had named "lady in white". Elsinore is one hell of a eerie town. Elsie is the least of the worries here ! The little boy was the Mayors son who jumped the fence and drowned in the pool... Also, the founder of the Town Haunts it. Chimes is haunted...I have been in there many times as a child and adult and there are a lot of spirts there. There are a lot of spirts in this whole town. Hi there, This is the first time I have ever heard of a monster in the lake. I have heard that Elsinore is haunted though! I know that Amy's castle is very haunted and when I was young going to school it was the biggest topic of the day every one knew about the story and If you didn't, well, than people would tell you about it. I also know the chimes very well. Never open though only on weird days would it be open and not open for long. Yes Lake Elsinore is very haunted. The water tower on the hill is haunted too. All can say what they want not believe or believe but Lake Elsinore has the most Unknown things happening at night. There are so many buildings that have underground tunnels and much more. Very interesting to know that.